Do you want to develop your children’s confidence, social skills, fitness and co-ordination? Well look no further than NOLTC and sign your children up for our popular holiday tennis camps and multi-activity sessions all in a safe and friendly club environment. Our club is the largest of its kind in Oxfordshire with excellent facilities, a large clubhouse and top quality courts. Our holiday camps are designed for children aged between 4 and 17yrs. They are run by Breakpoint Tennis whose founder, Chris Hampton, has recently won the prestigious LTA accolade of Aegon Club Coach of the Year. Chris and his team are enthusiastic, well qualified and licenced sports coaches and have been running camps successfully at NOLTC for over 10 years. For certain weeks of the year we offer multi activity camps to include tennis, hockey, athletics and football. For all our camps, players are organised by age and ability ensuring that they received the most appropriate coaching, all in a super-fun environment. We follow LTA guidelines on mini tennis. 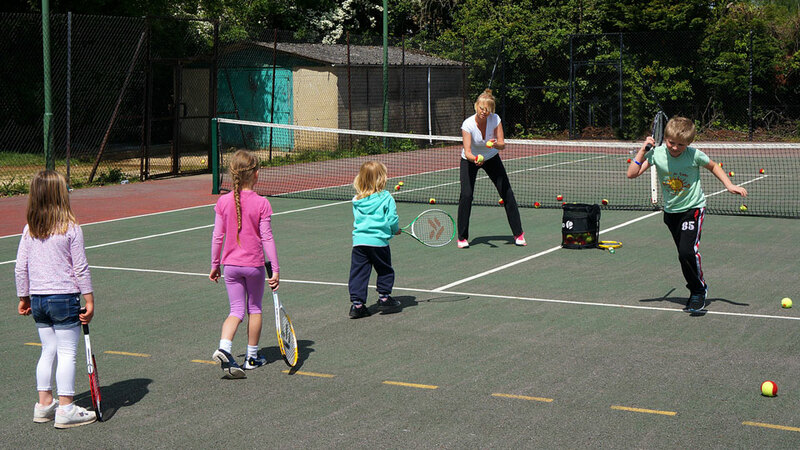 Recognising that tennis is a game before it becomes a sport, our holiday tennis camps combine lots of fun games with essential skills training. Join us at NOLTC for fun-filled and rewarding tennis camps – a great way to learn this wonderful sport. We have Tennis holiday camps and multi-activity sessions over the Easter holidays, Spring holidays and all over the Summer holidays. Open to non-members as well as members. Bookings now being taken for February half term.